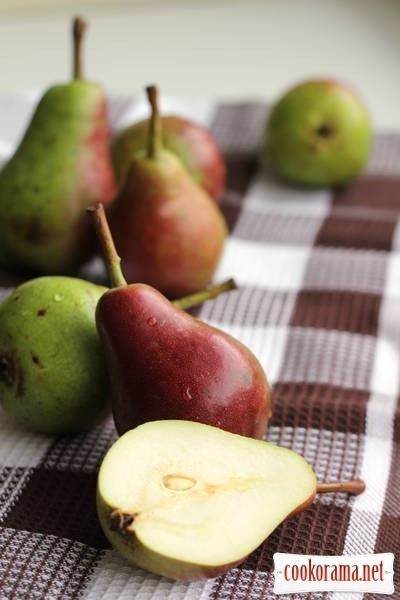 10-12 small pears, preferably ripe and soft, peel, cut into and remove pear core. If it does not work witout cutting a pear in half — do half. Squeeze a lemon juice on it, to avoid darkening. 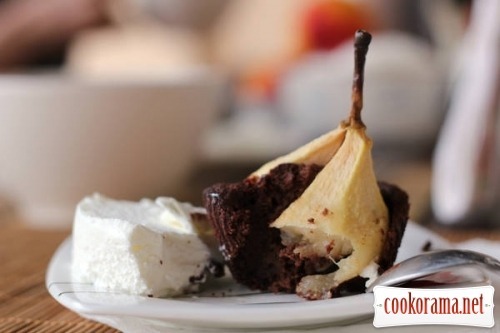 Make chocolate dough for muffins. 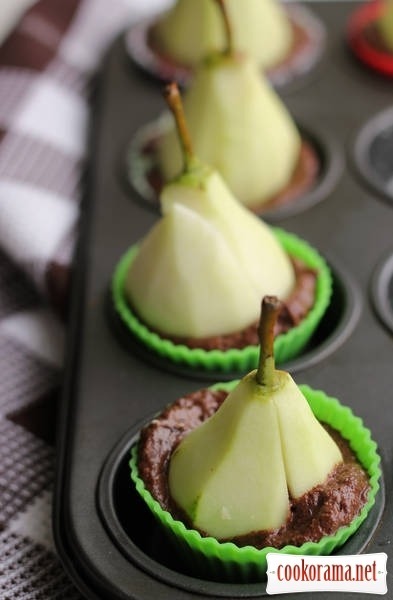 Fill the forms with dough for 1/3, put pear in dough. Bake for 15 minutes at 190℃ degrees, and another 25 minutes at 160℃ degrees. Taste warm and cold, as muffins themselves, and ice cream. 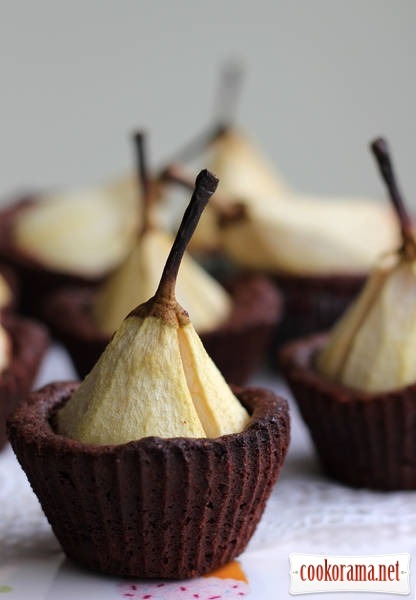 Top of recipe "Chocolate muffins with pears"